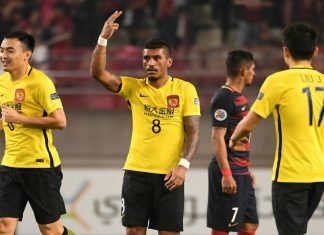 Two-time winners Guangzhou Evergrande of China made the last eight of the AFC Champions League on an away goal despite losing their second leg 2-1 to Kashima Antlers on Tuesday. 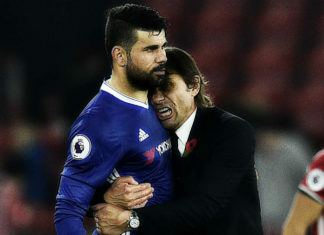 Diego Costa confirmed his commitment to Chelsea following Saturday's FA Cup final defeat, but would leave if Conte wants him to. 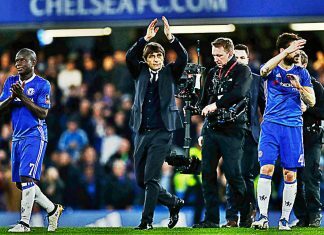 Antonio Conte wants Chelsea to be "very cold" when they analyse their "incredible" season that ended on the sour note of FA Cup final. 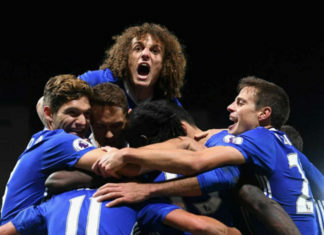 Chelsea's 3-0 win over Middlesbrough saw them become just the third team to win 300 Premier League home games. 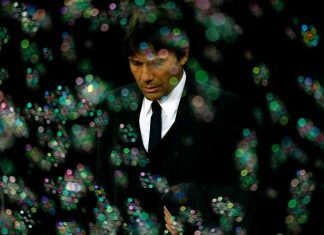 Antonio Conte has warned Chelsea that they face a summer of major surgery - regardless of their impending Premier League title success. 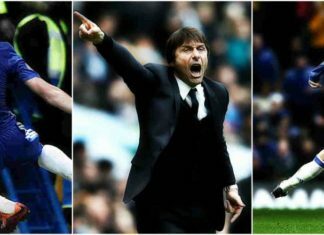 Antonio Conte and his Chelsea players will earn an extra bonus if they win the Premier League and FA Cup this season. 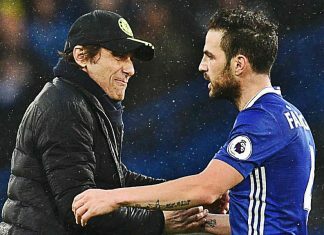 Chelsea would end their chances of winning the Champions League if they opt to sell Cesc Fabregas at the end of the season. 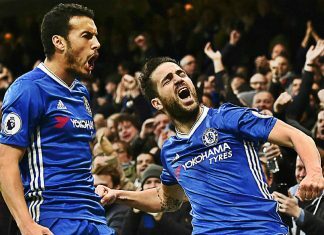 Chelsea boss Antonio Conte lauded "decisive" Cesc Fabregas and Pedro after his team took another step towards the Premier League title. 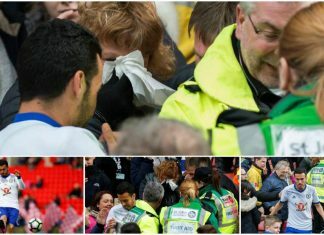 A woman had to be tended to by paramedics after being hit in the FACE by a stray Pedro shot at the Bet365 Stadium. 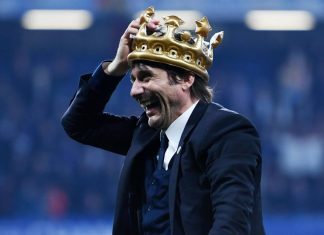 Antonio Conte’s Chelsea are overwhelming favourites to win the Premier League, as they sit seven points ahead of second-placed Tottenham. 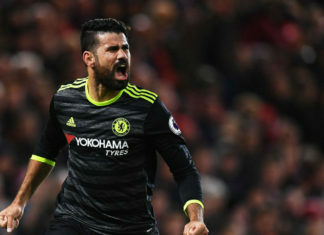 Chelsea face a battle to keep hold of Diego Costa after he was offered a staggering £38m a year to join the Chinese Super League revolution. 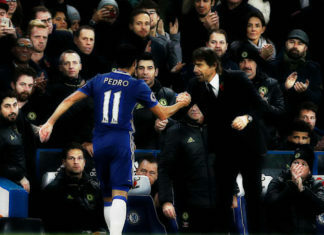 Pedro admits he is now “very happy” at Chelsea after previously questioning his long-term future at Stamford Bridge. 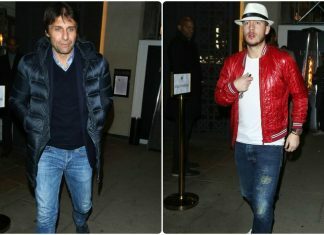 Chelsea stars along with boss Antonio Conte enjoyed a fine dine at Sumosan Twiga in Sloane street to celebrate their incredible form. 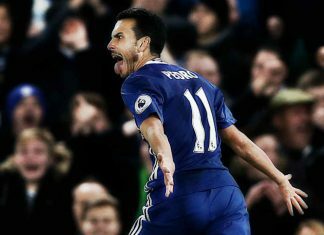 Antonio Conte is delighted that he has brought out the best in Pedro, who is finally showing why his side bought him as they lead the table. 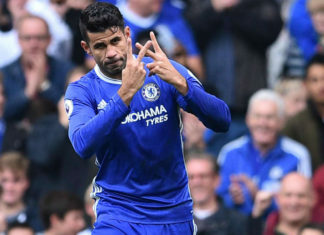 Antonio Conte believes his friendship with Jorge Mendes and Diego Costa's commitment will safeguard the striker's future at Stamford Bridge. Eden Hazard has issued a warning to his Chelsea teammates against complacency urging them to stay focused in their title march. 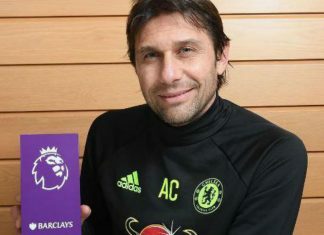 Chelsea boss Antonio Conte has won a record third straight Premier league Manager of the Month award for December. 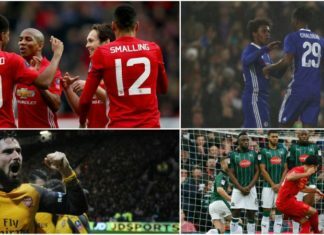 Premier league clubs rested their star players in an astonishing snub to the FA Cup which left £773.7 million worth of talent on the bench. 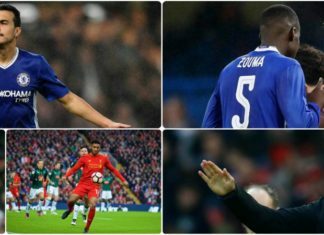 Liverpool boss paid the price for playing the youngest side ever for the club as the Reds were held to a draw, while Blues cruised in the cup. 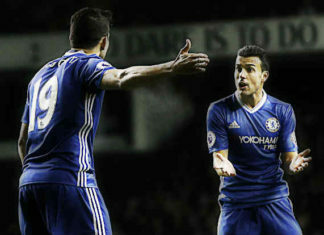 Diego Costa has revealed what was said during his heated argument with Chelsea team-mate Pedro during the Blues 2-0 loss to Tottenham. 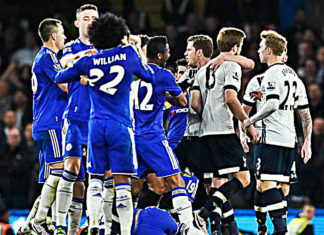 Mauricio Pochettino's Spurs managed to end Chelsea's 13 match unbeaten run at the White Hart Lane with a 2-0 win. 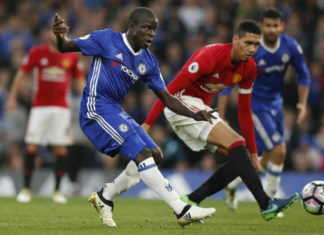 Chelsea's dream of winning a record 14th successive Premier League victories were dashed as they were beaten 2-0 by Tottenham Hotspur. 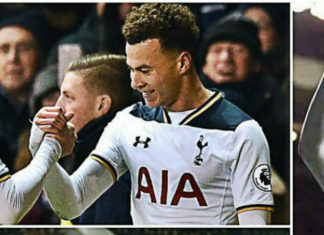 Pochettino has advised his players to control their temper when they try to stop Antonio Conte from creating history in the Premier League. 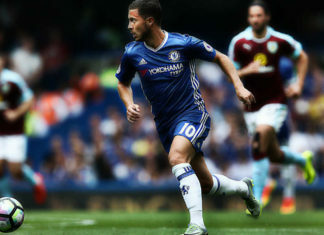 Eden Hazard is aiming to create history with Chelsea as their sensational winning streak continues. Chelsea boss Antonio Conte praised Eden Hazard and Chelsea's brilliance but admits they need to do more to impress him. 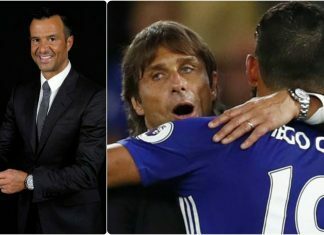 Chelsea star Pedro has revealed that Antonio Conte gave the team the belief that they could win the Premier League. 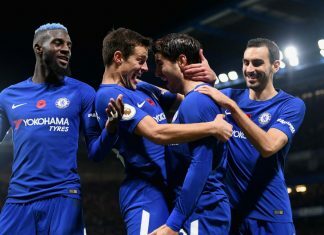 Chelsea are on a roll, winning 11 games in a row - the Blues look certain to break Arsenal's record of 14 Premier League wins in a row. 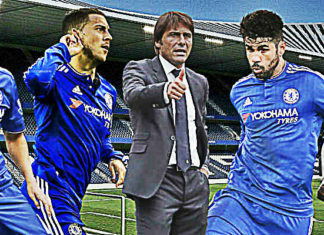 Chelsea boss Antonio Conte is looking for options to strengthen the Blues squad in January transfer window. 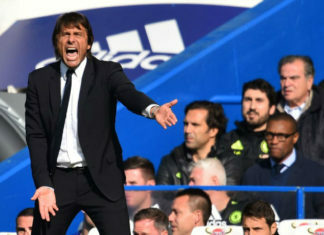 Chelsea boss Antonio Conte has claimed that his players must put footballing passion before money ahead of Selhurst Park clash. WATCH: Who Is The Latest Victim Of Diego Costa’s Chewing Gum Prank? Diego Costa is known all over the world for his mischiefs. The Spaniard found a way to entertain himself with a prank on Marcelo Ribeiro. 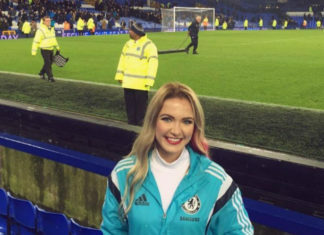 Chelsea fan and American football chic Emily Rogawski was spotted again at Goodison Park last night wearing her favorite club jacket. 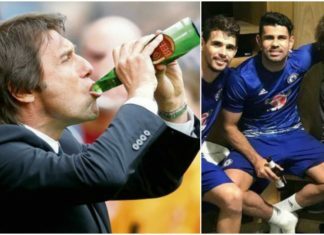 Chelsea boss Antonio Conte has encouraged his star men to have a beer pint after exhausting Premier league matches. 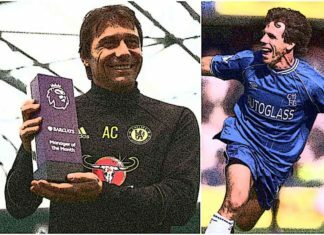 Antonio Conte has turned Chelsea into Premier League's most formidable team, but Roman's dream of being Europe's best is still one player away. 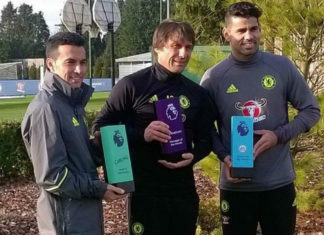 Conte has clinched the manager of the month award for the second time this season with Diego Costa earning the player of the month title. 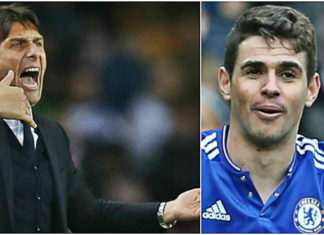 Manchester City boss Pep Guardiol has warned his team of the threat posed by Chelsea forwards Diego Costa and Pedro in the clash on Saturday. 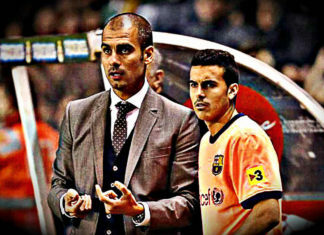 Pedro and Guardiola are set to face each other as league leaders Chelsea are all pumped up to lock horns with Manchester City on Saturday. 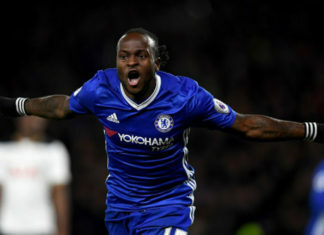 In-form Chelsea star Victor Moses has been voted the PFA Fans’ Premier League of the month for November. 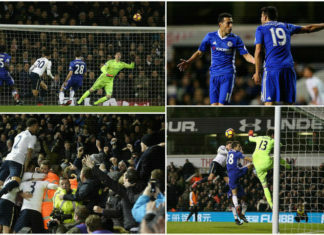 Chelsea came back from a goal down to pile more misery on Tottenham Hotspur after an impressive 2-1 win at Stamford Bridge last night. 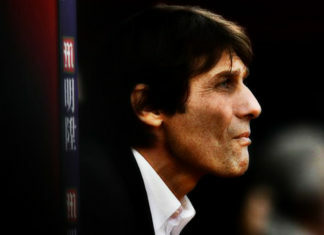 Chelsea have tasted success after the arrival of their new Italian manager Antonio Conte. 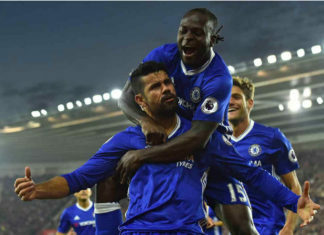 Diego Costa fired Chelsea to the top of the table with his 10th goal of the season. The striker is two goals clear in the top scorers list. 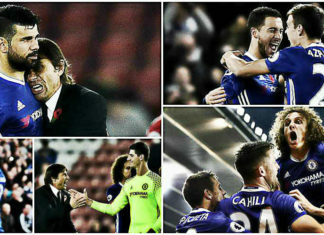 Antonio Conte has revived Chelsea after last seasons disastor with his intense hard work and deep bonding with the players. Chelsea FC players have been informed that they will not receive any bonuses if they qualify for Champions league. 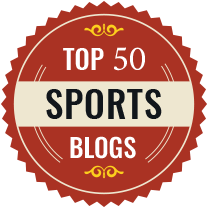 John Obi Mikel is yet to feature for Antonio Conte this season as he believes that he is frozen out of the team this campaign. 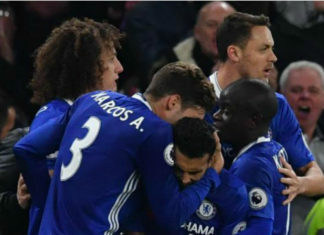 Antonio Conte guided Chelsea to their fifth consecutive Premier league victory with a 5-0 home win against Everton. 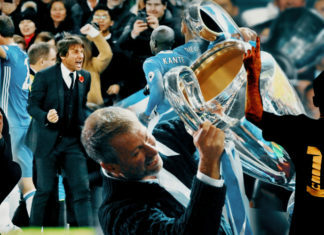 New Chelsea boss Antonio Conte has shared that Roman Abramovich has a lot of desire, ambition and passion for the sport and the club. 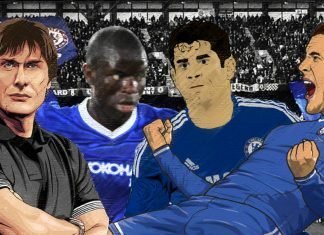 Antonio Conte's 3-4-3 formation is working out pretty nicely for the Blues as they have scored 11 goals in last 4 Premier league games. 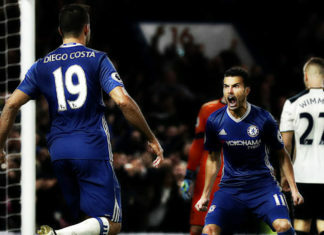 Chelsea striker, Diego Costa is the 6th fastest player to reach the 40 goal barrier in the Premier league.